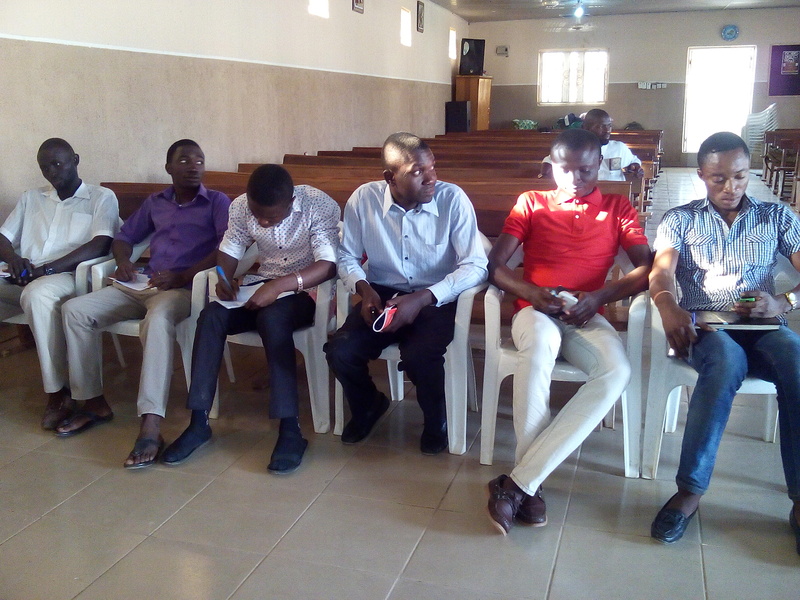 The month of May began with the meeting of provincial chaplains of Catholic Youth Organization of Nigeria (CYON) Jos Ecclesiastical Province with Resource Team members on the 2nd of May, 2017 at Church of Immaculate Conception (CIC) Zaramaganda, plateau State, Nigeria. The meeting aimed to evaluate first quarter activities of SELL Foundation. Among what was discussed were Advocacy visits to stakeholders, ways of collaboration with recognized youth bodies, Non Governmental Organizations (NGO), group of different Faith and co- sponsorship of SELL programme. The foundation remains grateful to Fr Denis Kaye for hosting the Chaplains and the Resource Team members in his parish. RETREAT: it has been a tradition of SELL over the years to retreat on our journey as a team and individual, this year’s retreat was titled “MISSIONARY SPIRIT”. The retreat gave the team members opportunity to reflect on issues affecting their lives, the Foundation and ways of strengthening their enthusiasm towards achieving the organizational goals. 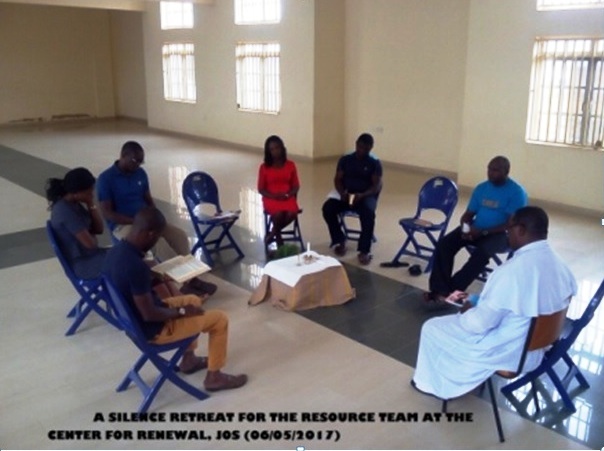 The retreat took place at the Centre for Renewal from the 4th– 7th May, 2017 in Jos Plateau State. The retreat was directed by Rev.Fr. Richard Santi from Jalingo Diocese, He engages the resource team on scriptural readings, Personal prayers and meditations, spiritual reflection and direction. He also encouraged the team to cultivate the culture of Missionary spirit, being patient, accommodating and transparent as leaders. The retreat came to conclusion with words of support and encouragement for the team: love your work and keep the missionary spirit in you alive and active at all times. ADVOCACY/ NETWORKING- Advocacy is one of the strategies to sale SELL out. The resource team was asked to support the volunteers to do the same in their various communities. 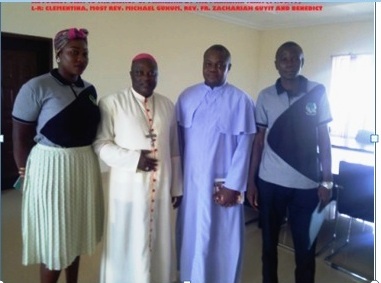 In this regard, the SELL facilitators in Pankshin community embarked on advocacy visit to Most Rev Michael Gokum the Catholic Bishop of their Diocese alongside Fr Zachariah Guyit the Diocesan youth chaplain. However, On the 19th – 21st of May 2017, the Director Rev FR. Patrick, team leader and the Hausa coordinator embarked on advocacy visit to Most Rev. Bulus Dauwa Yohanna ( the Catholic Bishop of Kontagora Vicariate, Niger state) Kontagora is one of the Foundations satellite areas. Still on advocacy, the organization was blessed with the presence of 2 important dignitaries in the persons of Frs. Victor Dunne and Kevin O’Hara Sps. The duo are both Leaders of St. Patrick’s Missionary Society. ( Frs. Victor Dunne central Leader of Sps based in Kenya while Kevin O’Hara is the west Africa Leader). Their visits created further synergy with SELL with more emphases on the need for Child Safeguarding and protection. Also, two other MCSPA priest Rev Frs. Wycliffe Ochieng and Angel Lopez visited the office of SELL. Equally Jalingo community team volunteers, the Director Rev Fr Patrick and Beji Team leader went on advocacy visit to Most Rev Charles Hammawa the Catholic Bishop of Jalingo from the 5th – 6th of July 2017, they were accompanied by the Youth Chaplain Rev. Fr. Jacob Wovoro alongside Rev. Fr. Stephen Bakari. Hand of friendship was also extended to the Director Catechetical Training Centre Jimlari Rev Fr. 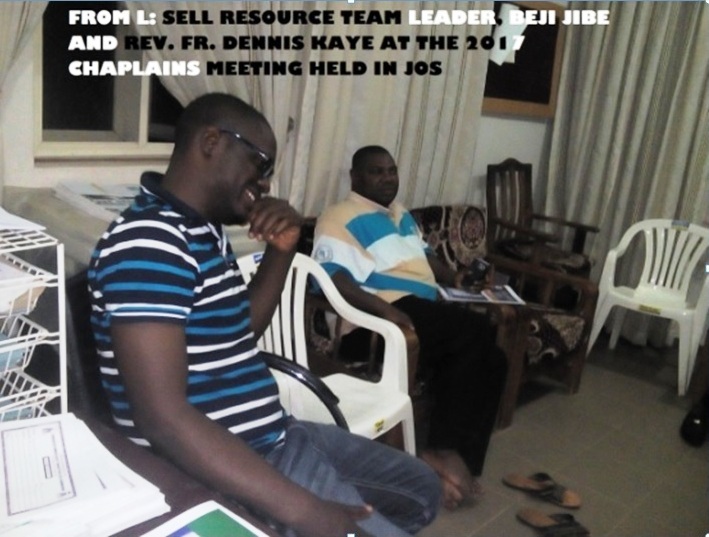 James Yaro, for the need to run SELL programme with the catechists in formation as directed by the Catholic Bishop of Jalingo Diocese. The visit was to strengthen the bond between the foundation and the Diocese and to find suitable ways of collaboration. The advocacies were all about re-building relationship and interaction with Key stakeholders that support SELL Programme in North-East, Nigeria. 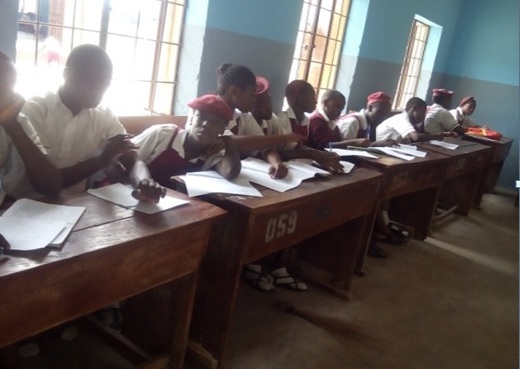 WORKSHOPS: – The Resource Team and volunteers of the programme across the North -East carried out different workshops on different units of the programme including entrepreneurial skill. To mention but few are, Bauchi community volunteers had workshop with the youths of St. Luke Catholic Church Miya from the 12th – 13th May 2017. 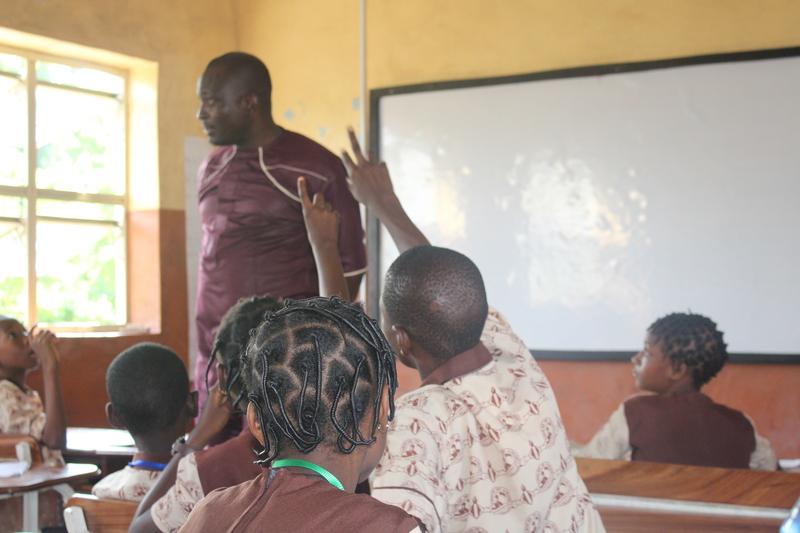 The unit shared was Wisdom of traditions and skills acquisition on how to make liquid soap. It was an interactive sessions, four ethnic groups were in attendance and shared their different cultural heritage. At the close of the workshop, participants came to identify with some similarities among different cultures. According to Moses “this unit explored has made him appreciate the importance of valueing his tradition” this unit has taught him how to be open to people’s culture, faith and traditions said Peter. We need to appreciate our culture and tradition said Shedrack. Pankshin community volunteers on the 18th of May, 2017 had a Community Building workshop with Fwor football club; equally on the 24th of May the volunteer also carried out another workshop with the youths of Kyadis, Unit shared was Leadership. 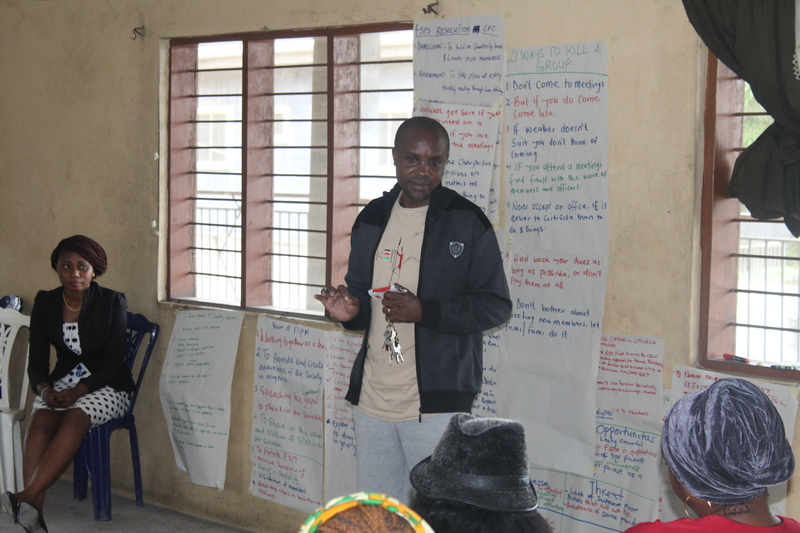 Shendam volunteers shared themselves into two groups on the 31st May and delivered Leadership workshops in two different communities within their locality. Jalingo community volunteers extended hand of friendship to the Youths of Methodist church in Jalingo on liquid soap making. The month of June every year, SELL Foundation do reach out to all St. Patrick’s Parishes in Lagos Arch Diocese including the Formation house in Ijebu Ode. The workshop this year focuses on Human Development, Self Awareness, Organizational strengthening, processes on dream and goal achieving by individual and groups. 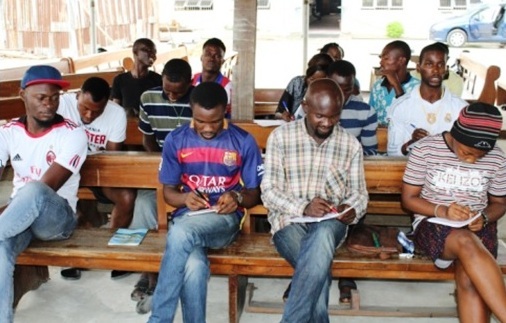 The workshop in Lagos axis began from the 4th of June at St. Matthew Amukoko, Followed by St. Margaret Olodi Apapa, on the 9th to 10th, SPS Formation House 18th-21st, Kilmore College, Amukoko on the 22nd -23rd, Friends of St. Patrick”s on the 24th and ended on the 28th June at Festac town,Holy Family Catholic Church. Join us on here next time as we give you more update on activities of SELL Foundation. SELL MARKED HER DAY WITH AWARENESS CREATION WORKSHOPS.